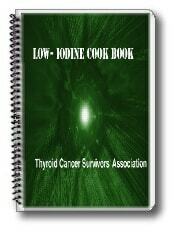 What might be the BEST, HEALTHY, LOW-IODINE Graves’ Disease DIET? Do you know what your thyroid is craving for? What do you need to eat, if you want to heal your Hyperthyroidism or Graves’ Disease and BE Healthy again? I am a Graves’ Disease survivor. I also know that there are many factors that may contribute to your Hyperthyroidism and Graves’ Disease and some of them of course are FOOD, DRINKS, HERBS or generally Graves’ Disease DIET! Because the truth is- it is important what you eat and what you drink, if you are suffering from Graves’ disease, Hyperthyroidism, goiter or thyrotoxicosis in general. Just for the last calendar year I have received over 5 765 emails from people suffering from Graves’ Disease or Hyperthyroidism, telling me about their symptoms, life stories, asking for advice about Graves’ Disease diet or just saying thank you for the information. There were a lot of emails from people asking what foods are good and what foods to avoid, what diet to follow in order to help NATURALLY their Hyperthyroidism or Graves’ Disease condition? Needless to say, you can’t find any information about this on Internet. There are pieces of advice here and there, sometimes contradictory, which leave the suffering people even more confused. As you probably already know, I had terrible Graves’ Disease some years ago too. Luckily, I don’t have that any more. I know also that I worked hard, and I am still doing that to keep myself healthy. It wasn’t an easy path to go. I recall, looking for such information as well, when I was sick with Graves’ Disease. Even though I never was on a special diet, during the past few years I have learned a lot about healing foods and dangerous foods. Food can make you sick (as in Hamburger thyrotoxicosis) and others of course can help your healing process (like vegetables from Brassica family). Due to all these demand of such an information, I decided to make available to you all that I know about Hyperthyroidism diet or Graves’ Disease diet, what foods are best for you, what to eat and what to avoid, what to drink or not…. I love the book. It is very informative and gave me tons of insight into Graves’ Disease. I am now at the hypothyroid end of things, after having the RAI treatment in 1995. So there were quite a few suggestions that I couldn’t try, because of the adverse affect on the hypo side instead of the hyper side. But honestly, I gleaned more information for your book than I ever did from any doctor. Thank you so much. As far as feeling better, just doing all of the research that I’ve done on the disease in the past few days has kept my mind off of things. I’ve incorporated a lot of the hypothyroid suggestions but have many more to go, one being exercise, which I am determined to do once I regain some energy and strength. So yes, I do feel better, a bit more each day. 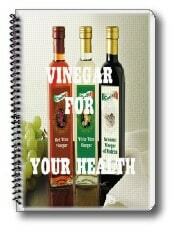 after reading your manual and started to use the Vitamins and Reiki I am feeling so much better!!! I had a goiter that is almost flat, my heart has calm down a lot. It been 5 months since then I am going to wait to have 6 months to have a check up to see if my T4 went down. I am sure it is better, I will keep you informed. But now I want to give thanks for all your help, it is nice to have support from someone who does understand. Dear Svetla,Your book was actually for my wife, who suffers from Glaucoma as well as her recent diagnosis of Graves’ disease. The fish oil made a marked and almost immediate difference in her daily condition. She has taken a Yoga class to cut down her stress (She’s a social worker) and she’s allowing herself much more time to sleep. It all helps. Thanks so much for your advice, It really does help! I hope that she eventually sees the improvement that you have been able to achieve. Sincerely, Dave Sim. ALL THE BEST FOR THIS HAPPY SEASON! THANKS AGAIN. I also realized that the information I share in my first book “Life Manual for Graves’ Disease and Hyperthyroidism”, especially for diet is not enough. I didn’t have the knowledge or experience to write more, unfortunately. Even though I believe that proper diet counts for about 25% of the whole healing process, it still deserves its attention. The main purpose of this new book is not only to give you HOPE. It’s a book to tell you that besides all known medications, RAI and surgery – there are many other ways to help your health condition. And of them is your DIET ! What you eat and don’t eat may have a tremendous impact on your health. We are what we eat, there is no doubt about that. I also share many cases of other people, who were able to change how they feel, and cure their hyperthyroidism just by avoiding certain foods, ingredients and substances (especially when it comes to Aspartame). Is that possible? You’ll see that this is possible, by all means. I know that from personal experience. ◊31 Goitrogenic foods for Hyperthyroidism and Graves’ Disease (Goitrogens, for example, are foods that naturally inhibit the uptake of iodine and work much like certain anti-thyroid drugs (like Methimazole, Propylthiouracil, Carbimazole), inhibiting thyroid hormone synthesis, release or action. ◊7 Simple General Recommendations for Healthy Dieting. Keep up with them and you are safe. ◊ How sprouting and sprouts can boost your immune system. 5 easy sprout recipes. 5 veggie smoothies. ◊ Iodine content in foods (at least those foods that I know). ◊ Are you dehydrated? How much water do you need every day? ◊ Recipes for Relaxant Tea, Insomnia Tea and Graves’ Disease tea. 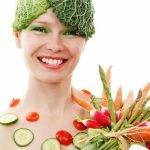 ◊ Over 70 Healthy Recipes for people suffering Hyperthyroidism, thyrotoxicosis or Graves’ Disease– all the recipes either contain goitrogenic foods, or are safe for us- not to mention that they are delicious! Easy for cooking (I tried almost all of them and I am not into the complicated-long time- many ingredients- cooking, I admit). 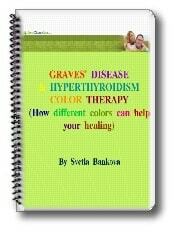 Graves’ Disease & Hyperthyroidism Rainbow Diet is an ebook about foods organized and grouped by color. How they affect our body and when we should consume them to improve our health. ◊Red foods that work in a red way–red vegetables, red fruits, red minerals and red vitamins–one of them surprisingly is chocolate. ◊Orange foods and foods that work in an orange way–we are attracted to orange foods when our bodies need to release significant amounts of stress and toxicity. ◊Yellow Foods and foods that work in a yellow way. Problems with learning, concentration and memory indicate a lack of yellow energy in the body. ◊Green foods– they calm our emotions by providing the nutrients that body uses to balance all the energies. ◊ Blue and violet foods can help your Graves’ Disease. Learn what you need to eat, when you have thyroid problems. This ebook contains 90 pages of recommendations and recipes especially tailored for people who are about to have RAI treatment for goiter. 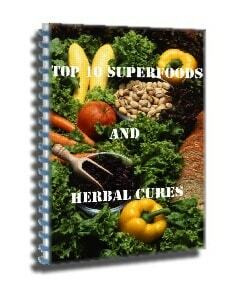 Useful ingredients, allowed and not allowed foods, tasty recipes from people who survived the battle with Thyroid Cancer. 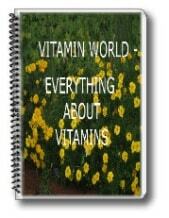 Are Vitamins and Minerals important if you have Graves’ Disease or Hyperthyroidism? I know that they are! 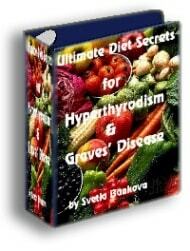 I would like to mention also that you are ordering “Ultimate Diet Secrets for Graves’ Disease and Hyperthyroidism” , as any of the books from this website risk free! All the Ebooks comes with 12 months guarantee. Just remember, if you aren’t satisfied for any reason, or it doesn’t live up to your expectations email me and I’ll refund your entire payment. No questions asked! “Ultimate Diet Secrets for Hyperthyroidism and Graves’ Disease” + All Bonuses above totaling $234.30- ONLY for $39.95 today! 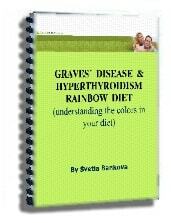 If you prefer the paper version of “Ultimate Diet Secrets for Graves’ Disease and Hyperthyroidism”, please, order from this link: http://www.Cafepress.com/gravesdiet or call: 1-877-809-1659, product # 030-505673001. Have in mind that all the bonuses listed come only as ebooks- after your order please send me an email. P.S. Take care of your Health and your life today, before it’s too late. Hurry up, because with my over 15 000 subscribers this offer will be available for only for the first 100 people. Enjoy your books and bonuses, if you have questions, you can always send me an email to mythyroid@gravesdiseasecure.com . All the information in the books and articles is intended for educational purposes only. It is not intended, nor should be interpreted as medical advice or directions of any kind. You are strongly advised to consult your own medical doctor/ endocrinologist for all matters involving your health and medical care. Thank you for you excellent research result &your your advice. I would like to know the treatment of thyrocardiac disease & its prognosis in detail as well. Thank you so very very much, for all your help. It has been so very useful! It is great to know that I AM NOT THE ONLY ONE! I must say my life has been so very very very stressful, and in fact I don’t take stress well at all. I must now learn, that I cannot please everyone and must now think of myself. I do not have a big problem with heart racing, etc. but sleep deprivation is a big problem. I will carry on with your herbal suggestions. I will keep you updated, as I go along. My best wishes for Christmas to you and your family. God Bless you. Thank you, I love the list! I’ve been working less and laying low, it was my natural inclination when I realized something was wrong. I feel the need to tend to myself and relax! I’ve been decluttering my house, my life & my desk at work! Also, I’ve been wanting to paint a picture and will start soon. I DON’T want to shop for the holidays, so I think I’ll make some special food items for the people I love! Thank you again! Thanks. I am from Colombia-Costa Rica and never got sick before. Now I understand why- but is in the past and now after I found your web I started to feel much better. Please keep sending me info. I have the manual and doing everything.